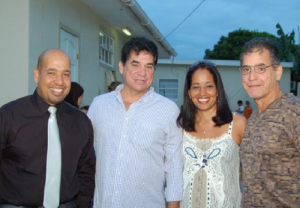 WILLEMSTAD - The current opposition party PAR does not work with the party Kòrsou di Nos Tur from Amparo dos Santos that is affiliated to the mafia (photo). This is according to the PAR in a written statement. PAR responded to statements made by the political leader Dos Santos who openly confirmed that he and his brother Robbie dos Santos are part of the branch of an Italian criminal organization. That same Dos Santos is now accusing traditional parties that they have taken money from the mafia.